Man am I learning that sometimes you just have to bite the bullet and go the store bought food route which I’m totally ok with..I love all of the healthful options they make these days and it’s so convenient. But here’s my beef…why do these companies feel the need to make everything taste sweet?! Even if those jars have spinach, green beans or peas in them they often times still wind up putting pears or apples in the bulk of the ingredients. I love that my baby is getting veggies “snuck in” to these varieties because of the nutrients. But I also want him to taste savory…and learn how delicious veggies can be in savory form. So this recipe right here is just that. 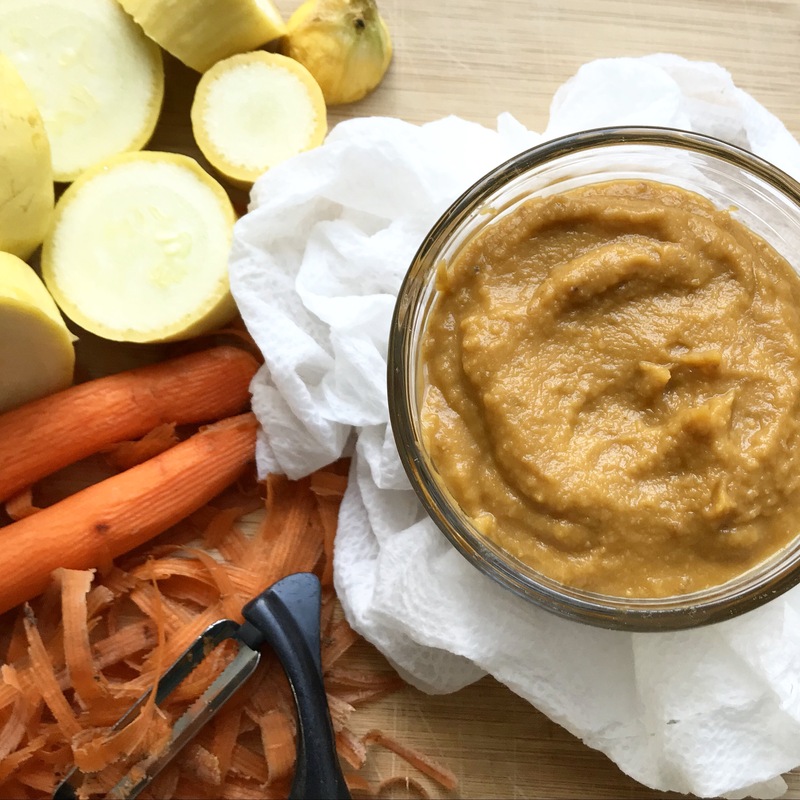 All three of my kiddos have adored this puree so I wanted to share it with you. You don’t need fancy tools or steamers to make delicious food for your baby…you won’t believe how simple and easy this is to prepare. And wait till you try it…I will confess that I eat a fair share of this stuff myself:) It’s the perfect way to get those savory tastebuds rolling and so full of fiber, vitamins and nutrients! Notes: this makes a large batch so it’s wonderful for freezing! Heat olive oil over medium high heat. Add all the veggies and cook, stirring often, for 3-5 minutes. Add lentils and stock and bring to a boil. Reduce heat to medium and partially cover the pot. Cook at a heavy simmer for 30 minutes or until lentils are very tender. Cool slightly. Add the soup to a blender and process until a smooth purée forms. Keep leftovers chilled in refrigerator or freeze in individual portions.